← David Wilcock on Coast to Coast with Notes! 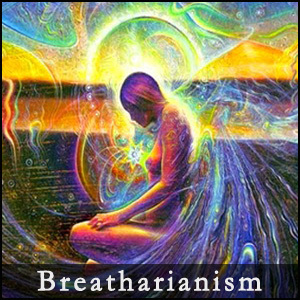 So this is a post I have been wanting to do for a long time as I did some very heavy research into Breatharianism and even experimented with a process that would bring me to state of living solely on the background energy of the cosmos. Now before you dismiss this whole thing I highly recommend doing some more research into this. I will be presenting everything I found in my months and months of constant research into this subject in this post. I found that this is very real and there are real people living this way without food or water. I believe this may be a facet of the larger process of Ascension as people in the other densities don’t require physical food or water. They subsist on the background energy of the Universe. I bought up every book and read every article I could find on Breatharianism a couple years ago because I was so intrigued and amazed that this could be a reality. Australia had a very large movement in this direction in the 1990s and it is believed that at least 30,000 people are living this way today. A woman named Jasmuheen has been one of the more prominent Western voices of this movement and phenomenon and you will find her information frequently if you research this topic. She has a few books out and one of them includes a process on how to transition into a Breatharian. Again, I advise lots and lots of research and spiritual seeking when thinking about taking on something like this. One thing I found suspicious was the amount of attack and attempts to discredit people seeking this path. If I take what I’ve learned from research into metaphysical topics and ideas we will see over and over again that paid disinformation agents are used to discredit anyone who steps outside of the norm or has information that could liberate us from The Matrix. So it is with this woman and others talking about Breatharianism. Now for those who may be interested in the 3rd dimensional aspect to this I did find a book titled ‘Life from Light: Is It Possible to Live Without Food? A Scientist Reports on his Experiences‘. This is a German gentleman named Dr. Michael Werner who holds a PhD in chemistry. For the last 19 years as of the time of the writing of his book he had been a managing director of a pharmaceutical research institute at Arlesheim. After working in the chemical industry for many years he taught chemistry and biology at a Waldorf (Steiner) school in Germany for three years. He was very intrigued by this phenomenon after studying the work and attending a workshop on this information held by Jasmuheen some years back. He intended to get to the bottom of this idea with a very strictly scientific mindset. He reports that his transition to living without food went surprisingly smooth. It is a 21-day process altogether. He goes on to say in his book that at one point during the transition he felt as though his body was being nourished and that this nourishment was coming from the background energy that permeates the Universe. I’d like to add that science has proven to us that we are nothing more than energy. There is no such thing as physical matter and that all ‘things’ that we perceive are actually in a state of vibration. So with this thinking we could easily discern that we could be tuning into an intelligence that is connected to our bodies that nourishes us if we desire to take on such a path. Dr. Michael Werner postulates that we are actually getting a constant but partial energetic type of nourishment from the Universe but some who feel the desire can take this further and transition to a way of life without the need for food or water altogether. Dr. Michael Werner decided he would put his way of being up to the scientific standard and submit himself to be heavily monitored on round-the-clock CCTV surveillance and tested in a special room in the intensive care department of a Swiss hospital. This endeavor was funded by the Asta Blumenfeldt Foundation at Dornach Switzerland. There were minimal irregularities during this 10 day experiment and he maintained his weight throughout the entire experience. He only slept 2-3 hours a night so he had a lot of downtime during the experience. One of the few things he mentioned that weren’t great was that he as kept in a small room the entire time and didn’t have much access to fresh air which may have affected some of his readings. There is much more information and many testimonials from his book which I highly recommend reading if you are interested in this subject. “She was educated at Notre Dame High School, Worth, and then trained to be a teacher at Alsager College of Education in Cheshire. In 1970, after her probationary year teaching in Liverpool, Naveena decided she would travel around the world on her own. She hitch-hiked from England to Istanbul and then used an assortment of transportation modalities to go as far as India through Syria, Iraq, Kuwait, Abu Dhabi and Pakistan. Her return home was via Afghanistan, Iran and Europe. I followed the majority of her videos on YouTube where she reported her experiences. She was attacked relentlessly in comments and the media. Again we see that anyone who tries to deviate from The Matrix is quickly shut down and discredited. Naveena was successful in her 47 day experiment and even underwent an intense physical workup before engaging in this endeavor. “Kirby de Lanerolle, the founder of Warehouse Project, Executive Advisor to the Ministry of Social Services, Sri Lanka and Working Director of the National Volunteering Secretariat, is a young Dynamic, Entrepreneur and Visionary, holding directorships and leading positions in both the Private and Public sectors. Notably, he is also currently the only Breatharian in Sri Lanka. In early October 2012, he accomplished the seemingly impossible feat or completing half a marathon without eating for 2 months. The Discovery Channel filmed a documentary about a 15 year old boy Ram Bahadur Bomjon AKA ‘Buddha Boy’ who lived without food for a period of time puzzled journalists and researchers when he allowed himself to be filmed sitting in the same place for 96 hours simply meditating not taking any food or water. “As previously mentioned, the film footage revealed that Ram showed no signs of dehydration or physical deterioration during his meditation. Even though he sat in the same position for all of this time, his organs and body appeared to be functioning normally. Of course not every detail could be determined as Ram chose to stay in a meditative state the entire time. This meant no one could go and medically study his well being. “Prahlad Jani is being held in isolation in a hospital in Ahmedabad, Gurjarat, where he is being closely monitored by India’s defense research organization, who believe he may have a genuine quality which could help save lives. As you can see so far not all of these people’s stories can be explained away by conventional means as there is an unconventional, imperceptible and metaphysical component to it all. We are learning as a species that we have more than 5 senses and that our bodies are much more intelligent and powerful than we have been led to believe, hence the attacks on those who research this topic. “The secret of physical immortality is one of the deepest occult secrets of the Light forces that has never been revealed to anybody who has not reached a certain vibrational frequency, a certain inner purity and a certain degree of dedication to the Light. I will now reveal to the surface population as much as it is wise to reveal. 2. Reversal of the entropy processes in the energy bodies. This can be achieved by sacred union between female and male polarity with inner and outer alchemy. So as I postulated earlier it appears to be that Breatharianism is a part of the entire Ascension process that a being can experienced here while in a human 3rd Density body. Now in my research I found there are other ways to achieve this state of being. One of them is an ancient practice called Sun Gazing. It takes longer and is much more gradual but does have the same effect which is that one gradually loses appetite for physical food and subsists on the background energy of the Cosmos, among other health benefits. I will reiterate here that I highly recommend doing research into anything like this before attempting to try it if you chose to do so by your free will. A man named Hira Ratan Manek has been doing a lot of walking the walk in terms of actually living on light via Sun Gazing and touring the world sharing his experience and knowledge with others who desire to seek further into the world outside The Matrix and ‘normal boundaries’. “Hira Ratan Manek was born on 12th of September 1937 in Bodhavad, India, was raised in Calicut, Kerala, India, where he had his Mechanical Engineering degree from the University of Kerala. After graduation, he joined the family shipping and spice trading business and continued working there until he retired in 1992. Research into Hira Ratan Manek, Jasmuheen and Prahlad Jani by several doctors in India can be found on this PDF which was published in the Gujarat Medical Journal March – 2001. There is a documentary that I recommend watching as it has some scientific standards and tests that are used to determine the affects of Sun Gazing on the brain and body. The creator of the documentary Matthew Wilcox is a student undergoing the practice of Sun Gazing and having his brain hooked up to a machine to see what happens to it while he is being monitored. You get to see the results in the documentary. He also visits an eye doctor to see if there is any damage sustained from doing these practices and as Matthew expects they find nothing. There is apparently no UV radiation coming from the sun during sun rise and sunset and these are the suggested times that one stand outside and look out into the Sun. It sounds crazy but there are a lot of people that have had successful health benefits and no adverse problems as a result. Again these individuals are attacked intensely because of the programming installed into us from birth. The entire way our reality and bodies work needs to be updated and re-written as it is much more amazing and metaphysical than we could have ever imagined. So this is everything I wanted to share. As you can see I did a gargantuan amount of research into this phenomenon and found amazing things and people that seem to be genuine to me. Of course there are others who will always dismiss this information because it doesn’t fit into their reality bubble. Not to mention the army of paid trolls and disinformation agents ready to pounce on anyone who doesn’t fit the pre-conditioned mold we are all supposed to fit into. I would encourage everyone to keep an open mind and do their own research and come to their own conclusion. Ask questions and exercise discernment especially on subjects heavily infiltrated by the Cabal. Oh yes, Riox Frosher, having dreams while in a cleansing or detox process is not unusual, as you may well be informed about. As a holistic nutritionist and health-student, I’ve advised many who chose a cleansing diet or fasting period and some of them were afraid for the dreams that visited their sleep. They felt relieved when I explained to them that with the release of toxines of our body cells, also memories begin to “float” out of them and as these are connected to our astral body, by these memories’ emotional content, it causes dreams as a way to process the emotions. See what I mean? The dream with the etheric drip on your right kidney, may also saying something about your emotional capacity to process feelings from the point of view of your female energy. I’m not sure if you’re a man or a woman. The name Riox doesn’t make that clear to me. The right kidney corresponds with the left side of the body, the feminine side, as opposed to the position of the right hemisphere, the intuitive, non-linear feminine side of the brain. Kidneys are connected to the second chakra and are the monitors of our emotional health and – freedom. Riox I’ve read some testimonials about people attempting the transition and having some rough turbulence in the process due to the state of the consciousness not being ready. We can try but the Universe or our higher selves will intervene if it’s too early. That’s wild that you had that etheric drip! So you got something out of it. Haha. If you feel ready I say go for it! 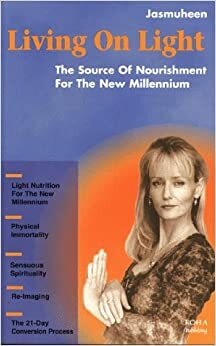 I read Jasmuheen’s book about 5 years ago and attempted the cleanse. I was not ready at the time because I never stopped drinking, among other things. However, I remember in my dream, my Mom slapping me over my right kidney! I got only one of those etheric “drips”. Had WAY vivid dreams and lost a lot of weight! I would do it again and I’m betting this time I’d be successful! Thank you for posting your article. Maybe you mentioned him in this article and I missed it but I came across Ray Maor on YouTube a while back. He is also very much involved in the breatharian movement. I went searching for the idea of breatharianism when I started to realize that most of the food I was eating seemed to have some sort of negative effect on me. I often have more energy when fasting. I’m not ready to take the breatharian plunge yet but it is very intriguing. Thank you for a very well researched article about Breatharianism. I think I’m going to do sungazing as soon as I have arrived in a village coming March and live in a clean and rural area. I’ve rarely worn sunglasses since 1995 due to my knowledge of the beneficial rays of the Sun. And my eyes having no problem with it at all, exposed to direct sunlight. There’s no need for suncream either, as far as I’m concerned, there’s much lies in all the adverts and produce of sunscreens with factor 20 and higher, with warnings about the damaging effect of sunlight. Americans are advised to shun direct sunlight for the risk of skincancer. No wonder many hardly find access to their independent thinking for themselves! I’ve seen babies exposed to the sun, in the light of midday, on the beach, fully covered in a white film of such sunscreen with a high factor, containing zinc. It’s hilarious and a sign of confusion, watching parents who have no clue about the sensitivity of a baby’s skin and body, exposing them in that way to the sun while the chemicals and zinc are absorbed in their baby’s bodies. A baby is fine with a cotton covered body and a sunhat on its tiny head, no direct sunshine in the middle of the day! Babies shouldn’t be exposed to the sun, as if they should lack vit. D soon when they’re hidden from it. The arguments of young parents nowadays? They’often fully detached from the use of common sense. Utter nonsense! This is an ex-childminder speaking. Ha!